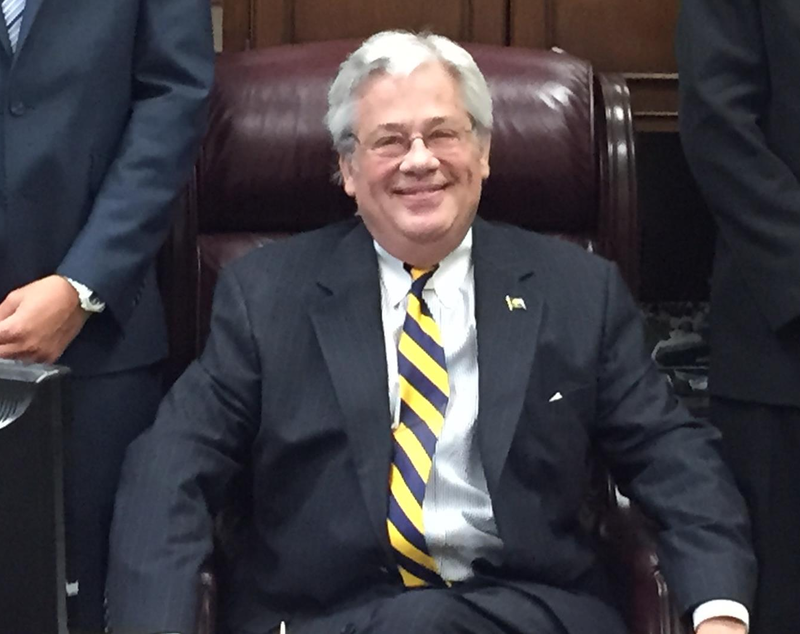 Republican Auditor Tom Wagner, first appointed by Governor Mike Castle in 1989 to the position after the incumbent Auditor, Dennis Greenhouse, had resigned after being elected New Castle County Executive, and then elected in his own right in 1990, is retiring after 29 years in office. He announced his decision last night at the GOP’s annual Lincoln Day dinner in Kent County. Mr. Wagner stated that health problems necessitate his retirement, as he has been suffering from serious kidney issues and Crohn’s disease and no long feels he can dedicate all of himself to the job. According to the State News, Mr. Wagner had been looking for a Republican successor, but could not find qualified GOP candidate (this is includes Kathy McGuiness, a former Republican running as a Democrat), though he still believes the race is winnable for Republicans. Indeed, it will be interesting to see if Mrs. McGuiness returns to her roots and runs as a Republican. She will have an easier path to the title she wants. After 29 years in one job, what’s next for Mr. Wagner? “I have been so focused on this, honestly, I don’t have a clue what I’m going to do,” he said. While he would like to work for a charitable cause, such as helping animals or children, he joked that he might also start a Mötley Crüe cover band, become the Andre the Giant of the “midget wrestling” circuit or work as the equipment manager for the Philadelphia Eagles cheerleaders. Notice that all but for the “midget wrestling,” it is all a paraphrase by the State News’ excellent reporter Matt Bittle. I wonder what Wagner’s exact words were. LOL. Dems…for the love of god please get another candidate to run! Not a fan of either candidate?